This vacation package is specially designed for families. 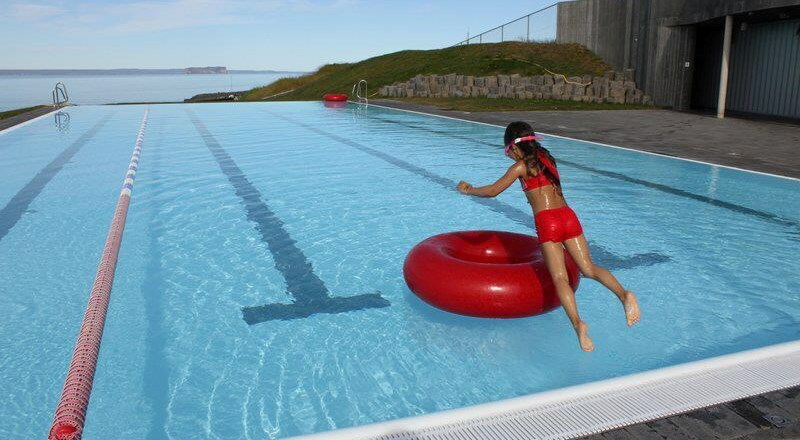 Not only you will see amazing places but you also have the opportunity to walk behind waterfalls, walk on ice with crampons under your shoes and ice axe in your hand or take a swim in natural pools or one of the many geothermal heated outdoor swimming pools one can find in almost every town and village in Iceland. 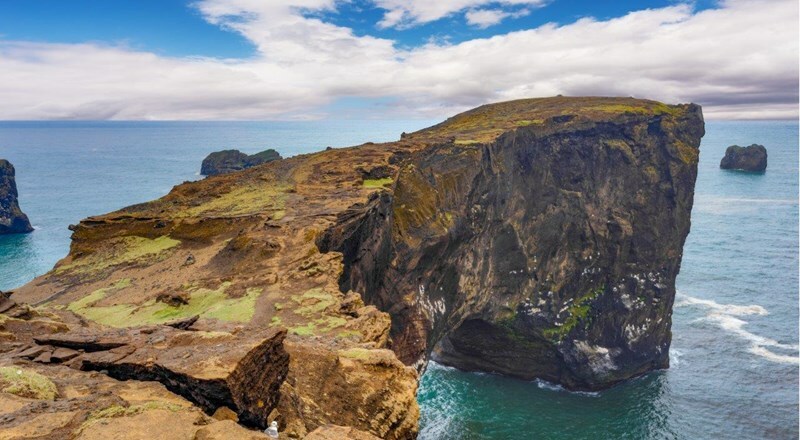 You will see volcanoes including the famous Eyjafjallajökull and experience the unique landscapes of this mysterious island, from lava fields to woodland, from mountains and moors to bird-cliffs and tranquil bays. Arrival at Keflavik Airport. 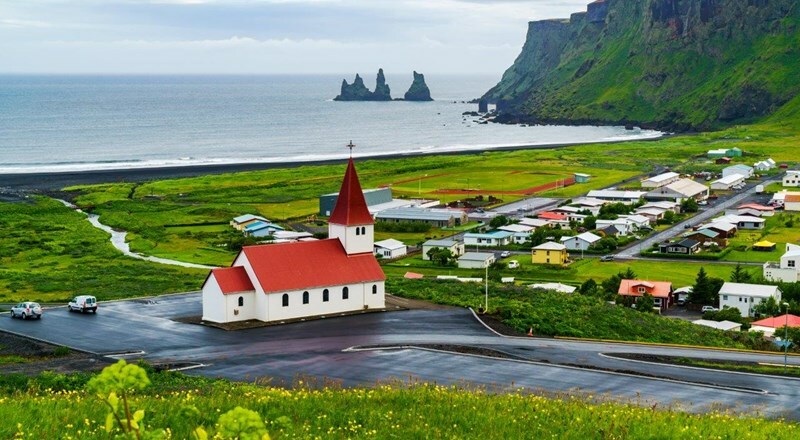 Pick-up of rented vehicle and drive to Reykjavik for your first night’s stay in Iceland. 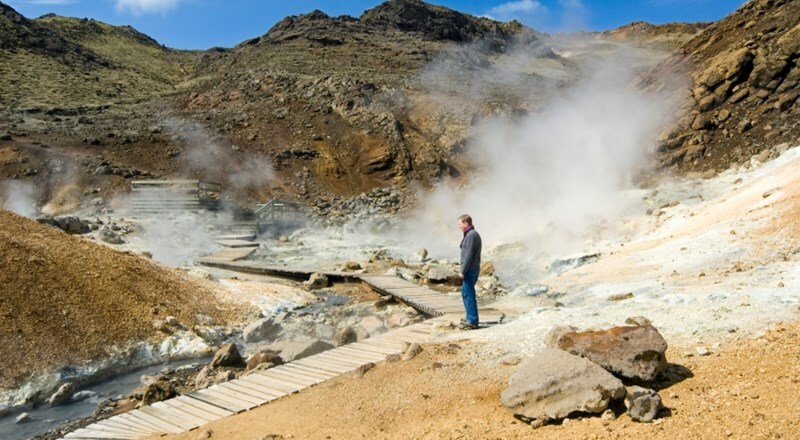 Depending on your arrival time, your may be interested in taking a nice drive around the Reykjanes peninsula and check out the geothermal area of Seltun with its bubbling mud pools and steam coming out of earth. Or take a refreshing stroll to the Reykjanes lighthouse. 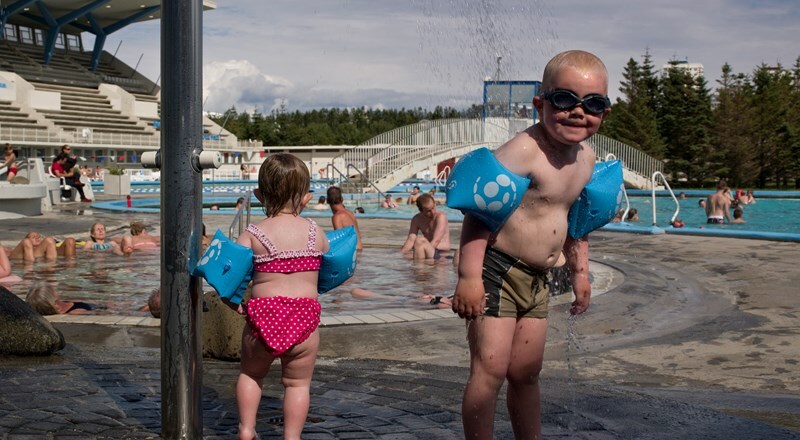 We recommend as well a stop in the famous Blue Lagoon either for a visit or for a soothing bath in the blue geothermal water (reservation obligatory via The Blue Lagoon). From Reykjavik you drive out of town through Mosfellsheidi to Thingvellir National Park, considered as a geological wonder of the world. This is a highly interesting area both from the geological and the historical point of view. Here you can see the effects of the tectonic plate movements which have opened cracks and fissures in the earth’s crust. You can stroll from the upper area to the lower one or drive down to the lower one. Do not miss the so called money rift (Peningagjá or Flosagjá) where one can make a wish by throwing a coin in the clear waters. A short walk can me made to the Öxarárfoss waterfall and you will literally be standing in a fissure separating two continents! Now it is time to visit some of the most interesting and famous areas of Iceland. In the geothermal area of Geysir the hot spring Strokkur ejects its water column high into the air every 5 – 10 minutes or so. You will also find numerous small springs boil and bubble. 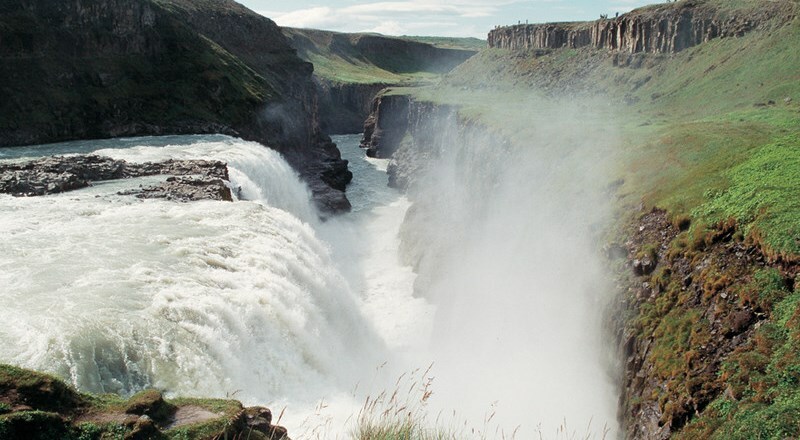 Afterwards you only have a short drive to Gullfoss, which many regard as Iceland’s most beautiful waterfall. 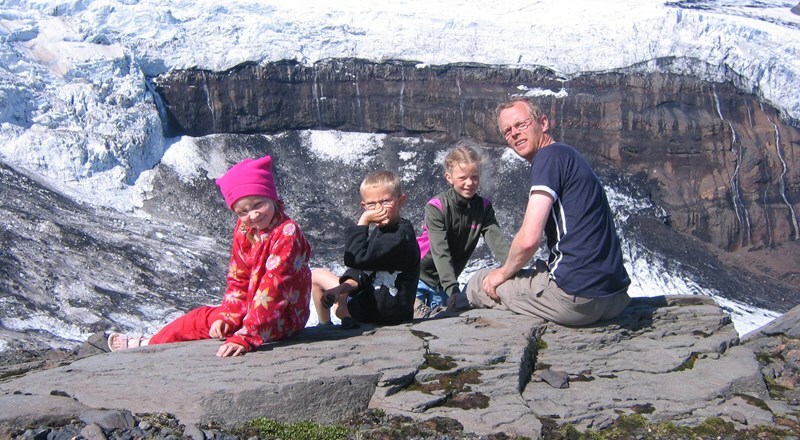 On your way to the Geysir area you have Efsti Dalur farm you can have a tasty ice cream stop. Overnight stay in Selfoss area. Today is a nature day. We drive the south coast to the east, past Hella but with a recommended stop in Hvolsvollur village where you have the opportunity to visit the interactive Lava centre, which is a brand new museum and cinema center where you can learn all about volcanoes and volcanic eruptions. After Hvolsvollur village you head onwards and your next stop will be Seljalandsfoss waterfall, the one you can actually walk behind ! After going from the right to the left behind the waterfall, we recommend you walk down and take the path that lies on your right hand and you search for the other waterfall (Gljúfrabúi), a bit hidden in the volcanic rock. You head forward to Skogar and its waterfall. The legend says that Thrasi who lived close to the waterfall hid a chest filled with gold behind the waterfall. In old times one could see one side of the chest through the waterfall! If you want to know a bit more about Iceland‘s history we recommend the Skogar folk museum, filled with items from ancient Iceland, and turf houses you can visit. In the early afternoon, you have the possibility to go ice hiking on Solheimajokull glacier (optional and for 8 years and older). 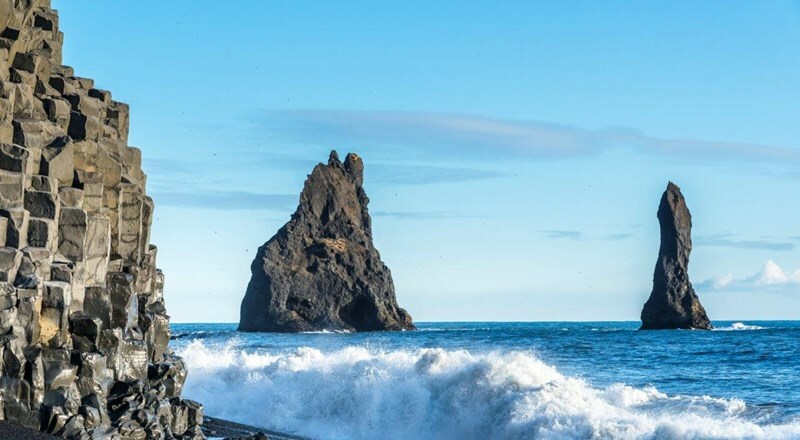 Drive on to Reynisfjara black beach, famous for the Reynisdrangar rock stacks that rise from the sea and for its basalt columns. Dyrhólaey cape is the southernmost point of Iceland. A small road takes you to the top of this 120 m high sea cliff where you often can see a large number of puffins. 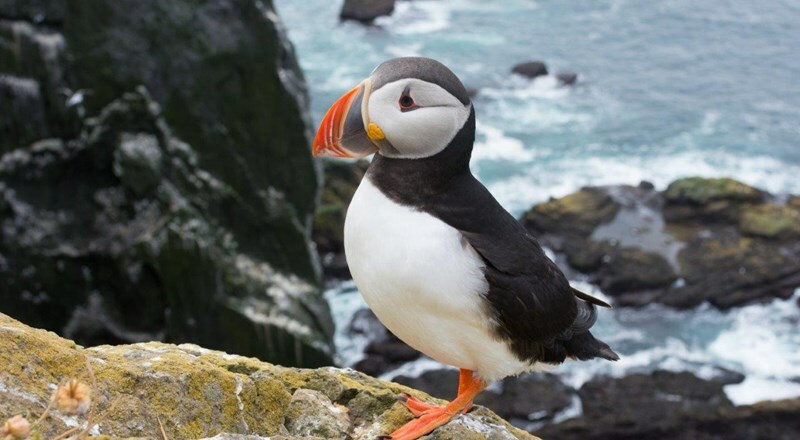 (Please note that Dyrhólaey is closed during nesting season from May 15 til June 23 and from mid- August the puffins will have gone to sea!). Be careful and to not go too close the sea, the waves are dangerous! Overnight stay in Vik area. From Vik village, drive onwards to Skaftafell in the Vatnajokull National Park. We highly recommend the short hike to Svartifoss waterfall. Take a bottle of water with you and taste the clear and ice cold water from the river as well. If you want more hiking experience you can always head on up to Kristinartindar (8 hours hike in total) and have the most wonderful view of the surrounding glaciers and region. You might maybe be interested in taking a hike on ice if you did not have time on day 3. You can take a 1 and ½- 2 hour glacier walk (optional – 8 years and older). The walk takes you to Svinafellsjokull glacier tongue where you will walk through ridges and deep crevasses. Glacier gear and safety equipment included. Overnight in Skaftafell or nearby region..
Drive a bit further east and make a stop a Fjallsarlon glacier lagoon where you can approach the lagoon quite close and take a zodiac boat tour on the lagoon (optional). From here you head on to Jokulsarlon glacier lagoon where you can have an amphibian boat tour on the lagoon, getting real close to the glacier itself (optional). Open your ears, you will hear the ice crack and see icebergs floating onwards to the sea ! After the boat tour, take a short stroll to the beach where one can often see curious seals swimming close to the shore and check out us humans watching them. 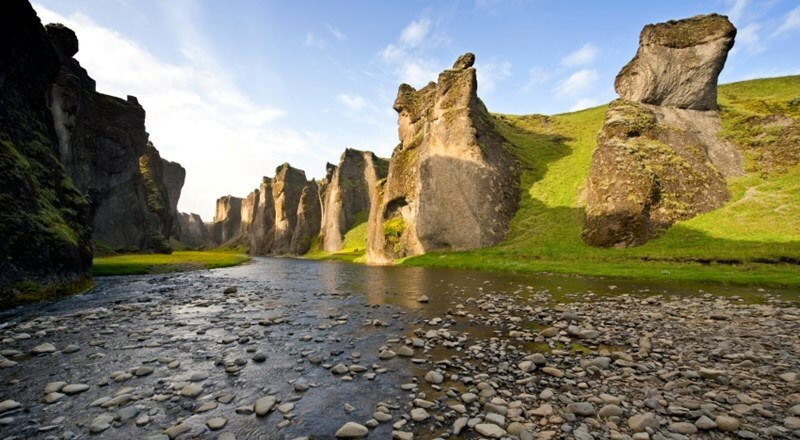 Drive back towards Klaustur region and we recommend you check out the Fjadrargljufur canyon before you head on to your accommodation. This canyon is approx 100 meters deep and about 2 kilometers long. The walk/hike is easy and you will have access to really nice view points from the visible walking paths all along the way. Drive back to Reykjavik. As there was so much to see on the way east you may not have taken your time to explore it all so now you have the time to stay a bit longer on the different sites or just stroll back if you prefer. On your way and if you still want to hike some more, we recommend a walk in Reykjadalur by Hveragerdi, through geothermal area. It is uphill, but quite easy and once up you can take a nice soothing bath in a naturally warm river so do not forget your towel or your swimsuit! If you are through with the hikes, we recommend a Kayak tour in Stokkseyri. You can take a nice family ride of approx 2 hours where you just navigate through the fen with a map to find your way through. After the kayak tour you should try the nice but really small swimming pool in the village. (Optional) From here you can either drive directly to Reykjavik or you can continue to the Reykjanes area if you did not take that ride on day one. Depending on your arrival time to Reykjavik, the kids might want to take a walk through the Reykjavik zoo and the park attached to it. This tour, like any other tour we offer, can be modified, lengthened and/or spiced up. If you would like to go th the interior of the country for example without renting a 4x4 car for the whole trip, we can offer you different options in order for you to see as well some of the highlands. Please contact us for further info.